Many people like light-bodied, mild beers. (Few of them read this site.) Many, many people. Anheuser-Busch sells them oceans of it. But there are a few people who hanker for a light-bodied, mild good beer, and in Beervana, their choices are limited. Periodically, a brewery decides to take up the gauntlet and brew such a beer, one worthy of the company's name (and able to command eight bucks a sixer) but as light an refreshing as an August breeze. Turns out, this is no easy task. When you're working with fewer ingredients, you have a far smaller margin of error. Mistakes are amplified in the absence of massive hopping and dense body. A little too much of anything ruins the beer, a little too little and it's Bud. Make Hay. It's an old, old phrase from a much simpler time. It's optimistic. It's positive. And it's the two words that sum up Haymaker Extra Pale Ale, the newest brew from BridgePort Brewing Company. Haymaker is a refreshing, extra pale ale that is simply sunshine in a bottle! It's a distinct blend of four malts and three varieties of hops that create a slightly complex, crisp and bright ale. So enjoy often and "Make Hay!" I love the early language there, which seems to have come out of a pitch meeting and accidently got left in the description. "It's optimistic. It's positive. It's the kind of beer you take home to meet your Mom!" And later, the "slightly complex" comment is a strange miscue. (Isn't the first rule of marketing never to weaken descriptions?) However, I guess it clears up why there's a rooster on the label. Sort of. All right, I'll lay off the marketing, which in fact belie an impressive effort at a mild beer. The brewers at BridgePort gave themselves a little more oomph to work with, brewing Haymaker from a 12.8° P recipe for a beer that is slightly bigger, at 5.3% than Mirror Pond (5%). However, they restricted themselves to a paltry 15 IBUs, just a third of Mirror Pond's 40. Nevertheless, they get a fair amount of flavor out of the hops they do use. (The less time hops spend in the boil, the less bitterness they contribute; however, they add more aroma and the flavor comes through more perceptibly.) Haymaker's are spritely and fresh; definitely a minor note, but they give the beer critical interest. What emerges is a crisp, light beer that recalls kolsch rather than a light pilsner. It lacks the fruitiness characteristic of most West Coast ales; instead, it's dry and seems to have a faint acidity I associate with kolsches. Perhaps the brewers finished it so that almost no residual sugars remain. And one thing about the hokey ad copy is right--it looks like sunshine in a bottle. I have attempted to capture this in a crude phone cam photo, but perhaps language will render it more accurately. It's not actually extra pale; it's a rich, bright golden that captures light and refracts it into liquid sunshine. My guess is that most people will find this beer underwhelming. Since it's the same price as BridgePort's IPA, and essentially the same strength, many people will find it a beer to admire (at most), not enjoy. I do enjoy it and admire it. I'll be careful about whom I recommend it to, though. BridgePort Brewing Co. is inviting the community to make hay and come to the brewery on May 3, First Thursday, from 6 to 9 p.m. to celebrate the launch of Haymaker Extra Pale Ale. Admission to the event is free. The Haymaker launch party will feature complimentary samples of Haymaker, food specials, and live knee-slapping bluegrass music by The Josh Cole Band, a group of self-described flat-picking hooligans. Inspired by the pure, time-honored stylings of The Stanley Brothers, Josh Cole's heart-of-gold voice and the group's hard driving instrumentation are a perfect fit to celebrate the release of Haymaker. The new MacTarnahan's design has the same look. In their case, they went for the classic all-caps look. But note the groovy checkerboard grid, which recalls mid-century packaging. I imagine a pattern on margarine. The color palate, as with the Bridgeport, is on a fixed, muted continuum, as opposed to some of the more garish labels of earlier craft packaging. It's weird that what is old seems new, but when Full Sail originally decided to go for their redesign, they were consciously aiming for the youth market. The kids don't drink IPAs; they drink Pabst. When they see retro, they react to it as though it is new. What seems old are the Boomer designs that craft pioneers employed--which ironically were intended to have an insouciant, do-it-yourself, "we're the new kids in town" quality. Here's a pretty good example from Alaska's Midnight Sun. It has a woodcut look of a type that was popular in the mid-80s. It's colorful rather than sleek and subdued, natural rather than industrial. My guess is that most young folks under 30 would say it looks hokey. Since the style hails from that period when today's young people were kids, it feels dated to them. (That's probably an axiom--style feels dated when it comes from the most recent, distinctively different era.) But go back to 50s style--once regarded as the most conventional in American history--and it's hip again. Which brings us to the allure of the industrial. Early craft brewers, for whatever reason, strongly situated their breweries in local, natural settings. The earliest city beer was brewed by BridgePort, but it was named after the city's bird and the label showed a Blue Heron, not a bridge. There is something naturalistic about brewing, and early brewers were connected to ingredients (they hauled sacks of malt themselves). So we saw beers named for birds and weasels and seals and bears. But the current look recalls the industrial age. You don't drive past factories anymore, yellow toxins rising off flaming smokestacks, and so it's easy to romanticize this broad-shouldered past. With the collapse of manufacturing in America, there's something very attractive about massive steel fermenters and guys cruising around in rubber boots and flannel shirts. Oregon in particular has always been a blue collar place, and so it's not surprising that there's a return to an aesthetic that recalls work and industrialism rather than nature and craft. All things change, and as breweries get bigger and more impersonal, there will probably be an effort to remind people of the naturalism of brewing. (That's what happened as breweries got bigger and bigger in the 50s, 60s, and 70s; they didn't show their massive brewing plants, they evoked Rocky Mountains, artesian water, and the "Land of Sky Blue Waters.") But for now, industrial is hip. Some pretty fascinating beers there. Two year old stout for a new brewery--nice foresight, and a great way to christen the joint. The Farmer's Daughter, Tripel, and Smoked Märzen look to be worth a sip, too. As always, holler if you go and let us know. Cost: $10 and includes admission to The Garden, a commemorative glass, and 4 script to purchase samples of beer. Each additional script costs $1. Join us for the third annual Blooms & Brews Brewfest in the J. Frank Schmidt, Jr. Pavilion! This Oregon craft brewfest will feature many local beer brewers and will offer the chance to sample or enjoy a full glass of a wide variety of specialty beers. There will be live music to dance to and great food from Roth's Family Market to enjoy. It has a nice selection of 33 brewers, including a couple I'm not (or dimly) familiar with--Faust, and Calapooia. There are a coupla craft imposters in there, like Green Valley (AB) and Blue Moon (Coors), but plenty of other great breweries. Food, too. No info on what's pouring, so you take your chances. Holler if you know more. Full Sail has a pretty low-profile series, available only in 22 once bottles, called Brewmaster's Reserve. It is the yang to their "Livin' the Dream" series yang. Whereas that line is a mainstream offering to a large audience, Brewmaster's Reserve is for beer geeks. 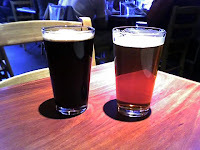 Available now are two beers I tried over the weekend--Nugget Red and Top Sail Porter. In a moment, I'll get to the reviews, but first a mention about reviewer objectivity, a subject brought into sharp relief by these contrasting beers. I try to be objective. Over the years of formal and informal tasting, I've developed an appreciation for every style of beer (leaving aside the commercial inventions of light beer, dry beer, etc). I understand the intention, history, and craft behind the styles. But that doesn't mean I love them equally. 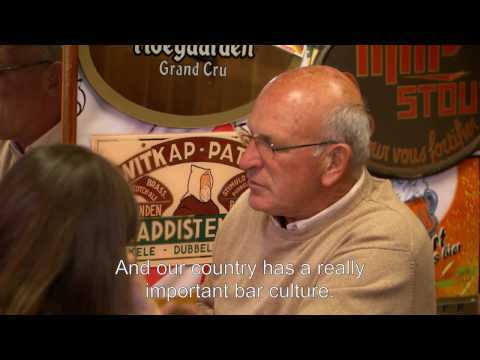 I favor beers that are hoppy or black (or both), beers made with ale yeast, and anything made in Belgium. German beers are harder for me to love. Among ales, two beers could scarcely be found that would test my prejudices. Based on the results of my tasting, I'm suspicious of bias. You'll have to be the judge. Top Sail has been around as a seasonal for at least a decade. And, although the description "imperial porter" is obscure and unilluminating, it has always been used to describe the beer. Porters are generally lighter beers, even "robust porters," which generally top out at 6% abv. When you start getting into high-alcohol, densely black ales, you tend to think you've entered stout country. (The name "stout," as it happens, comes from the development of stronger porters, know originally as "stout porters.") So wouldn't an "imperial porter" suggest a stout? You'd think, but perhaps the brewery was just trying to be enigmatic. (Of course, there are baltic porters, which are strong . . . but the style horse is dead, so I'll quit beating it.) I'd call it a pretty standard Oregon Stout--something Obsidian drinkers would instantly recognize. But never mind the name, what about the flavor? For any beer to survive a decade or more, you figure it has to be pretty tasty. With Top Sail, you figure right. It is an absolutely gorgeous beer, pouring out with velvety viscosity, a dense chocolate shake head piling up (and lasting pretty well, despite the high alcohol content). It has a mild, Tootsie Roll aroma; I could detect no hops. The flavor is a wonderful blending of intense, dark-chocolate bitterness, with notes of roasted coffee, and fruit-sweet notes that fall halfway between plum and blackberry. The sweet notes are unusually fruity, but you have to turn your attention to them; otherwise, the creamy, slightly chalky bitterness carries you away. The style of red ale seems to be emerging, and a number of my favorite breweries make one--Roots and Laurelwood are two that spring to mind. Last year, Widmer made one for their Spring seasonal. It seems to be characterized by mid-to-high strength, hop bitterness, and a thin body (and, of course, color). "Red ale" isn't a traditional style (I discussed that in the Widmer review, linked above), but it could emerge as a new one--and one with more distinctiveness than the strong versions of beers that get affixed with "imperial" or "double." Like Top Sail, for example. Whether red ale emerges as a recognized style or not, I have to say I'm biased against it. In Nugget's case, there's less hopping than I've found in others, but the other characteristics are here: the thin middle, the candyish, sweet malt offset by (what I assume is) crystal malt tannins. It has a hollow center and a bitter edge--a classic red! I suspect it will fail to impress more for its lack of bitterness than the reasons I dislike it, but throw that in as a demerit, too. It's not a terrible beer, and I drank my 22 ounces in mild pleasure. Still, if I were in a pub with only two taps of Oregon craft beer pouring, the great likelihood is that I'd chose the other one. Nugget doesn't hit my sweet spot. I have decided to abandon my old rating system. Although I maintain the philosophical underpinning was sound, as a method of communication, it is perhaps inadequate. While I know what I mean when I say "average" or "excellent," apparently it's not a universal nomanclature. So instead I'm moving to the classic school-based, letter-grading system. A ___ World class; a superlative example of the style or an exceptionally original beer. B+ to A- __Technically flawless, just short of the kind of character that distinguishes it as as the best in its style or as a truly original beer. C+ to B __A well-made beer that is a fairly common example of its style or a near miss on originality. D+ to C __Nothing stands out; beer doesn't have off-flavors but fails to impress. D- to D __Off-flavors mar the recipe. This gives me a little more leeway to distinguish within broad categories, and to distinguish the transcendentally sublime (A) from the merely extraordinary (A-). It’s all embarrassing corporate crap to tell you the truth. Honestly, that’s all corporate mandated promotional BS. But I would say that it makes me feel good that the staff here is proud of the beer here. Go read the interview. You'll like it. Seriously. The beer industry in Oregon is one of the nation's most robust, employing 26,000 people and contributing something on the order of $2.2 billion to the state's economy. There are roughly 80 brewers across the state, and they brewed 25 million gallons of beer in 2006. Oregon produces the second-most hops in the country, and the ninth-most barley. Beer is a big deal here. The rub is that Oregon brewers pay among the lowest excise taxes in the country, and the rate hasn't gone up since 1976. And while Oregon's breweries produce a lot, it's still just a fraction of the beer consumed in the state--the majority still drink Pabst and Bud. So these low taxes are being extended predominantly to vast industrial breweries in St. Louis and Milwaukee. To Democrats, raising the beer tax seems like an obvious way to boost revenue. They have four versions of bills that would raise beer taxes anywhere from 375% to 1,235%, the funds from which would go to (variously) state troopers, mental health, and drug addiction services. In the most extreme version, which raises the tax from $2.60 a barrel (31 gallons) to $32 a barrel, an exemption is made for companies that sell less than 125,000 barrels in Oregon. That would currently exempt all Oregon breweries, though the larger ones might produce that much in a decade, if current growth rates continue. So, the question is: will raising the beer tax hurt local breweries, or is it reasonable for them to chip in their fair share? It may be a losing battle here on BlueOregon, but there are a couple reasons I'm not super hot on any of these proposals. Fairness. All the taxes being considered are excise taxes and must be paid by the producer. But, when our home-grown Oregon brewers whip up a barrel of beer, a lot of people make money on it. The brewers sell it to distributors, and the distributors turn around and sell it to retailers. Of the $4 you pony up for an IPA at a pub, as little as 80 cents goes to the brewer. Yet the tax being considered by the legislature will only affect brewing companies. Function. For the purposes of this legislation, breweries are not being treated like other businesses. This is a "sin tax" designed to reimburse the state for various ills--"alcohol-related health-care costs," "underage drinking," "alcoholism." Yet Oregon breweries' contribution to these ills is not distinguished from wine, liquor, or industrial beer, nor are the health benefits acknowledged. No doubt some alcoholics choose stouts and some underage drinkers tipple barleywines, but certainly not in proportion to liquor and cheap beer. Breweries aren't complaining that they have to pay the usual taxes. But being treated like a tobacco company and being compelled to pay for state troopers is another matter. Incentive. Oregon's brewing industry is a huge success story. It brings money into the state, creates jobs, and employs Oregonians. Breweries are increasingly going green and they support local agriculture. They have transformed the corner bar from a smoky, windowless room into a family-friendly brewpub where drinking happens in moderation. Yet we are proposing to tax them merely for producing a product some people consider sinful. This is the kind of local industry we should be supporting, not penalizing. Breweries aren't asking for special favors, but they'd appreciate not being treated like shabby kin. I'm still for health care, higher ed, and social services, but I am also for equity. Breweries already pay their fair share in local taxes. I just don't see how adding an additional burden on local business is an equitable way to pay for these worthy services. case per person they will go fast. Hope to see you here, Alan. Directions (if you haven't been to the brewery before, you'll need 'em). The legislature is considering various versions of excise taxes--fees that are charged to the brewer, rather than the distributor or retailer. One version of the legislation (which has been to the legislature before) would raise the tax to $34.60, a $32-per-barrel hike over the current rate of $2.60. A barrel is 31 gallons, so the per-gallon increase would go from eight cents to $1.12. The national mean (average) for the beer tax is $7.75 per barrel, and the median (half pay more, half pay less) is $5.25. 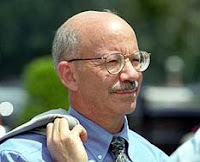 Some of the legislation is tied to the Consumer Price Index, which increased 31.8% between 1994 - 2005. However, over the same period, beer prices only increased 23%. Therefore, the tax grows in proportion to the cost of production over time. Some of the legislation would exempt all breweries who sell less than 125,000 barrels in Oregon. Currently, no brewery sells that much, but in less than a decade Deschutes, Widmer, and Full Sail could. At 125,000 barrels, a brewery's sales would account for just 4% of the beer sold in Oregon. But on the day a brewery hit the magic number, its tax would go from $845,000 to $4.325 million. Democrats want to find a way to raise taxes on beer, which isn't exactly unreasonable. The state hasn't raised taxes since 1976. In today's dollars, that same tax would be $9.41. But there's a lack of cohesiveness in both the function of the tax (in one version it is a set-aside for state troopers, and in another for mental health and drug addiction services) and its design. When our home-grown Oregon brewers whip up a barrel of beer, a lot of people make money on it. The brewers sell it to distributors who take a cut, and the distributors turn around and sell it to retailers, who sell it for four bucks a "pint" (more lucrative than it looks), getting their cut. Yet the tax being considered tomorrow will only affect the brewer. Legislators are doing their best to make sure it mainly affects out-of-state brewers like Bud. But it is worth asking the question: why do you need this tax, and why are you targeting breweries? Minors --Now Allowed at the OBF! The Oregon Brewers Festival (OBF) is pleased to announce that, as in the past, minors under age 21 will be allowed all-hours access to the 20th annual Oregon Brewers Festival, provided they are accompanied by a parent. The Oregon Liquor Control Commission granted permission for minors/parents to attend after receiving a new OBF compliance plan. "After thoroughly reviewing the Oregon Brewers Festival's amended proposal, we believe it meets our licensing and enforcement concerns regarding minor patronage at the 2007 festival," explained Rudy Williams, OLCC deputy director. "We appreciate the OBF's willingness to work with the OLCC to help satisfy the public safety interests of Oregonians." "We are thrilled that the OLCC has made this decision," said Art Larrance, founder of the OBF. "The festival has a long-standing history of being a family-friendly event. We promote responsible drinking, and as a result, we have responsible attendees who come together to celebrate our local culture." Power to the (little) people! 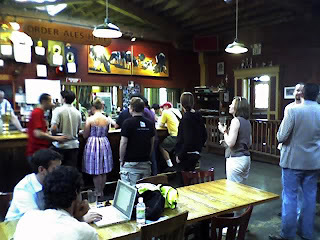 A minor item of substantial note: the Oregon Brewers Guild announced that the McMenamins have finally renewed their membership--the first time since 1995. This may seem like nothing to most people, but it's a pretty big symbolic move and has an interesting twist on the beer tax debate (more on that later in the week). The symbolic move is the acknowledgement by the McBrothers that they're part of an important local industry. Previously, they've maintained that they're centrally a chain of restaurants, not breweries. That has always been absurd on its face, all the more so because the McMenamins got their start as tavern owners and were pioneers of the industry. No one has to join the Oregon Brewers Guild, of course, but it's a credibility issue for both the Guild and the McMenamins. So good. Now, the interesting twist. The distinction between brewer (brewpub-owner) and restauranteur is mostly a semantic one. From the customers' side, it's academic whether the beer was brewed on-site. But from a political point of view, it's the difference between being a beer producer (brewer) and retailer (restauranteur). The current debate about beer taxes has pitted these two constituencies against each other: under most systems, brewers pay the tax, which restaurant owners, as retailers, prefer. But as brewers, you'd like to see the tax be borne by distributors and retailers, or at least shared. It's somewhat academic; because the McBrothers don't brew anywhere near enough to meet the threshold for the new tax. 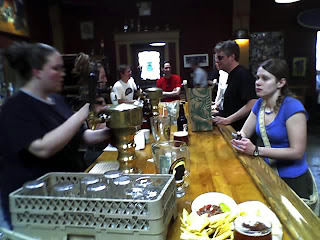 But, as members of the Oregon Restaurant Association and not the Brewers Guild, the McMenamins put their de facto weight against brewers. This is a symbolic--and welcome--reversal. Yeah, I know no one cares, but there you have it. 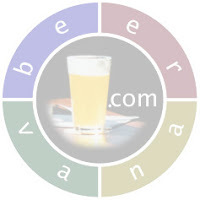 I just discovered that an archive of my old Beervana site is online. It's an archive version and lacks all the photos and gifs, but it's there. It dates to 2001 and so is not much of a resource for current beers and breweries, but it does have descriptions of some now-defunct places West Brothers, Wild Duck, and Caswell. 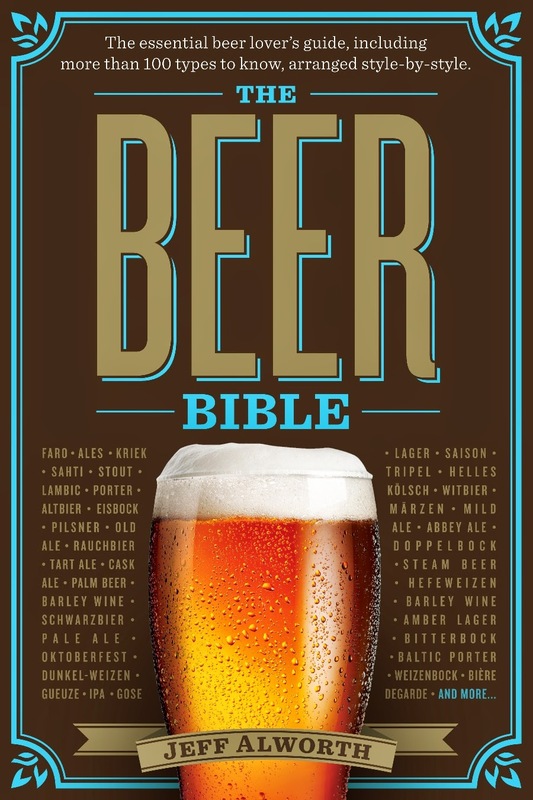 Also a glossary of beer terms and styles. I mention this in part because some pub in Salt Lake City claims to have trademarked the word Beervana, and I've worried they might try to sue me. Fair warning--I used it first (online, anyway). Tim Akimoff has been horning in on my territory. He's producing brewery vids for "Will Blog for Beer" that exceed mine in production values and content. In other words, they're pretty good. That doesn't mean I'm not sending over the goons to break his kneecaps, but props where props are due. Since I don't make it down to Ashland often enough, here's his video tour of Standing Stone. If you’ve been to Ashland, you know that the bar for food is very high (easily competing with cities ten times its size). It’s not surprising, then, that the food’s great. It’s also on the cheaper side, which is important to know—Ashland’s short on cheap eats. Unfortunately, the beer’s not up to the same standard. We had an IPA, a nut brown, and a stout (might have been a porter). They were all pedestrian affairs, a bit too tannic, and a bit too phenolic (that’s the banana-y flavor that’s coveted in some German wheats, but not in English-style beers). 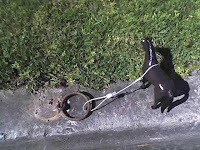 Ah well, I guess it’s not the end of the world: Ashland’s got just about everything else. But, maybe things have improved. Let me know if you've been down there recently. And Tim, a little more shake in the camerawork, what say? We're beer bloggers; we've got low standards to maintain. Bring it down a notch, and maybe I'll call off the goons. Nine breweries; ten Belgian-style beers; one yeast: Wyeast 1762. There's gotta be a math joke in there somewhere... But what there might be, actually, is the beginning of a new tradition in Portland's tight-knit brewing community, as nine brewers make different beers each using the same yeast strain, which Oregon's own Wyeast Laboratories describes as " Belgian Abbey Yeast II. High gravity yeast with distinct warming character from ethanol production. Slightly fruity with dry finish, low ester profile. Flocculation - medium; apparent attenuation 73-77%. (65-75° F, 18-24° C)"
No, I don't know what all that means, either, but I have every confidence that the brewers from Amnesia, BJ's, McMenamins Concordia Brewhouse and Crystal Brewery, Hair of the Dog, Lucky Lab, The New Old Lompoc, Rock Bottom Brewery and Roots Organic Brewery have the situation well in hand and have made good, distinctive beers. Judge for yourself next Tuesday, April 10th when all ten beers will be pouring: 4-10 p.m. at Rock Bottom, 206 S.W. Morrison St. Cost is $4 for a full beer or $1 for a taster. 503-796-2739. I have plans, so you must drink in my stead. There appears to be an imposter on grocery shelves. In Oregon anyway, a hard line divides micro and macro, and "gourmet" beers like Michelob are kept in their place (with the Hamm's, where the belong). Starting about two weeks ago a sleek sixer bearing the name "Henry Weinhard's" started appearing on the micro section of the beer case. It migrated just a foot, but there it is, like a Sooner on land grab day, on the other side of the line. So, what gives? Did Henry's finally game the system? No: in this case, appearances are misleading. Henry's had made a real micro-quality beer, and it has earned its place among the good beer, a rather remarkable development in industrial brewing. Before the review, some speculation on what Henry's is up to. Ambers have evolved to become the classic "crossover" beer--an inoffensive style that non-beer (or tin-can-beer) people can tolerate. MacTarnahan's has managed to eke out a marginal place here, but other challengers to the throne continue to pop up--F[l]at Tire, Mac and Jack's, Alaskan. (Full Sail's Amber, which was the first, is too strong, hoppy, and ale-y to fit in this category.) If Henry's was going to mount a charge on this market, they chose a beer that might possibly appeal to their current customers. But clearly, Miller (current owner of the Weinhard brand) has a more ambitious goal. By crafting an organic ale--and advertising on OPB--Henry's is aiming for a share of the Whole Foods segment. It's a canny move. Ever since Weinhard found a home at the Full Sail plant, it's fallen back into the good graces of Oregonians. For over 30 years, it has had the reputation of being a higher-quality beer than national brands, so trying to move it up the quality ladder is smarter than scrambling for the Pabst market. And the price point is fully micro--I paid $5.99 for my six-pack, and it was on sale. It's possible they'll keep it marginally cheaper than other micros, but 50 cents isn't going to cause someone to abandon Mirror Pond. Henry's is going to have to compete on taste. Which takes me to . . . It pours out a warm copper-amber, which was the first surprise (I had Blue Boar "Ale"--which looked like every other macro-lager--in my memory). It had a viscosity that you'd expect in a micro ale; unfortunately, the head dissipated rather quickly. Aroma is mild--nutty malting and a fleeting floral essence. In flavor, it's akin to Fat Tire, with an emphasis on malt. It's a little flaccid in the middle, with a cereal-malt-like quality. This is standard for the style, though not thrilling. The hops are detectable, but just. They balance the malt, but don't offer much in the way of actual character. 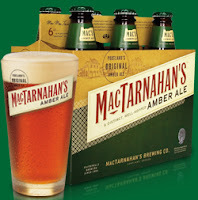 I suspect that in a blind taste test, it would beat Fat Tire and Mac and Jack's, but lose out to MacTarnahans, which has about 50% more bitterness and a lot more hop character. In terms of commercial prospects, I think the horizon is clear. No bets, but this is a very interesting experiment. Amber- and Hefeweizen-dependent breweries don't have to panic just yet, but they're probably breaking a sweat. We'll see. Yesterday was one of those gorgeous, sunny days in Spring that lifted the hearts of Puddletowners (a high of 78), and provoked a spate of weather "illnesses." The morning commute was very light and downtown was abanoned. People went to their favorite parks and pubs and had a fine day of hooky. The shots below were taken at the very packed Lucky Lab last night (April 6), between about 6-7 pm on my cell phone. When I took this photo, the beer line stood at 22 and snaked around the pub. "Life is too short for bad beer and to spend all your time raising money." --Rep. Peter DeFazio, on whether he'll try to unseat Senator Gordon Smith. That's right, the [Belmont] Station BierCafe is now open; the coffee is on, the panini grill is hot, and the taps are flowing! The initial hours are Tue - Sat from 4-10 (maybe 11). Come on down and be one of the first to hang out in our smoke-free bar and sample from our selection of 700+ bottles, 4 rotating taps, and tasty food. Belmont Station is located at 4500 SE Stark. 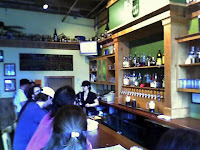 Publican Jim Parker and longtime brewer Lorren Lancaster (Star Brewing, Mad River, Anderson Valley and Deschutes) are opening a new brewpub called the Green Dragon Ale House & Bistro in the former Yamhill Brewing space at 938 S.E. Ninth Ave. in June, Parker says. Hey, anyone got $2,500 they want to give a poor beer blogger? Tell you what, I've got a Fred #1 in the basement, and a first edition Old Knucklehead I'd sell you. Beers: A range of English ales plus seasonals. But my, how the Lompoc has grown. Now a mini-chain, it has a Southeast and Northerly outpost. And the Fifth Quadrant, which opened last year on Williams Ave (in what must be known city-wide as "the new Pix Building)", is the most haute of all--I can't imagine it began in that offbeat little tavern. The name is a nod to North Portland, which is mostly beyond the pub, and perhaps a nod to the rising fortunes of that portion of the city. So I guess everything has changed. The Fifth Quadrant (5Q) is housed in a new building in the popular nouveau industrial style, with high ceilings and exposed duct work, cement floors, and metal floor-to-ceiling windows. It is spacious and airy, but also quite loud. 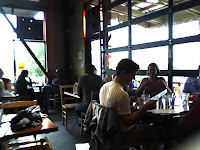 The roof extends off one end of the building to make for attractive outdoor seating, and the booths at the center of the restaurant have sliding dividers that expand to seat two tables (ten people?). 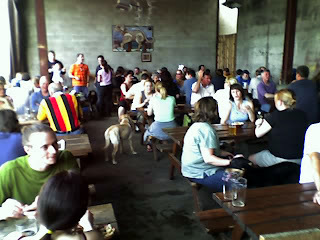 It was packed with families, including kids, when we went, the sure sign of a thriving neighborhood pub. When the Lompoc was just getting started, Fechter had a tendency toward excessive tannins (generally a problem with too much crystal malt). For years I wanted to like Lompoc beers as much as I liked the pub, but they were just too grainy. So it was with some prejudice that I approached my Condor Pale at the Fifth Quadrant. Maybe it's 5Q brewer Derek Clark (there's a brewery on-site), but this ain't your father's (okay, older brother's) New Old Lompoc. Two of the three beers I tried were exceptional--a helluva batting average for any brewpub. Condor Pale - Sweet, carmelly nose, a warm golden color. Both this beer and the Stout had noticeably fresh aromas--as if they had been kegged and tapped minutes earlier. This was a classic NW-style pale, but what really caught my attention was the silky, creamy mouthfeel. It was thicker than most pales, but not at all heavy or cloyingly sweet. The malt and hops were in wonderful harmony. It finished dry--even more surprising, given the rich mouthfeel. Fantastic. Sockeye Cream Stout - Jet black, dense nitro head that lasted to the end. Roast and chocolate aroma, and something of English yeast (which may have been contributed by the taster, who was getting carried away) came through in the nose. Much of the strengths of the pale were evident here--silky mouthfeel, and a nice balance between a very chocolaty-sweet first note and a subsequent drying dark malts (could be both roasted and black). Perhaps the best sweet stout I've tasted. Centennial IPA - Although this is probably a crowd-pleaser, to me it was the one dud in the batch. It's got the hallmarks loved in Beervana--cloudy golden, frothy head, and intense bitterness. But the bitterness wasn't pleasant; it tasted like the hops had been strained for all their alpha-acid might; it tasted stressed, like over-boiled coffee. If you're going to do strongly bitter beers, better to include hops at all stages of the boil so that the bitterness is complemented by hop flavor and aroma. This one wasn't--even the aroma was nearly absent. I assume the name comes from Centennial hops, among the most aromatic, so this is a special injustice. But what the hay--have the Condor, instead. Brewpubs have learned that a good menu is good business, and 5Q has one. They feature a nice array of starters (nice if you're just out for beers), hearty sandwiches, pasta, and a few (mostly meaty) entrees. But there's also a decent selection for vegetarians, too--somewhat rare for brewpubs. Sally tried the fish and chips (her fave) and I went for a chorizo penne dish. I hate to report that the fish was slightly over-cooked; otherwise, with halibut and crispy shoestrings, it was very nice. I'd try it again. The pasta was tasty but slightly understated--still, pretty good for a pub. 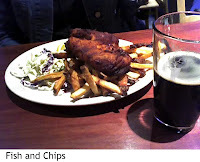 Portland Food and Drink, whom you should trust more than me, calls it "some of the best pub food in Portland." I'm inclined to agree. (And of course, Pix Patisserie, purveyors of the best dessert in town, is just around the corner.) We had a poor waitress, but consulting other reviews, this appears to be anomalous. All in all, a great place. I give it a strong recommendation. 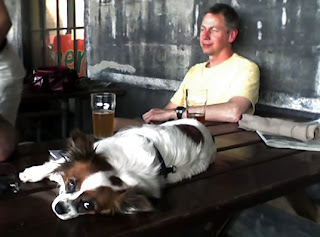 John Foyston, who has been writing about beer for the Oregon for over a decade and from whom I steal most of my news updates, is now hosting a blog of his own at OregonLive. I don't do a lot to promote our state's biggest paper, but John's not only a good writer, but a good guy. We should keep one eye on his blog for late-breaking news. Looks like me stealin' days are done. A light-bodied nonetheless hella good limited edition lager courtesy of the mad skills of the Full Sail crew. Crisp. Golden. Ultra drinkable. Totally LTD.
Diction theirs. Emphasis mine (reasons below). It pours out like an unassuming lager--a little deeper golden than the average pilsner, topped by a fizzy, weak head. My dad would recognize it as "beer." But all is not Busch Lite about it, as you discover with a first sniff. Like the 01 bottling, this one is robust at 6.4% (strangely, the exact same alcohol content--a theme? ), and I can detect in it malt-liquory nose. The palate, too, has a malt liquor quality--it's slick and alcoholic on the tongue, but has a slightly harsh alcohol kick. It's also very sweet, featuring quite mild, floral hopping that isn't adequate to the task of adding balance. But perhaps the inspiration isn't the golden-hued forty (we called 'em "torpedoes" in the eighties), but a more regal beer. In Germany, helles (pr. "hell-ehs") means "clear" or "light." 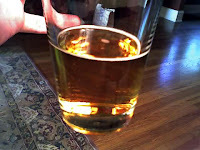 It is a style its own--a bland, mild lager not too distant from Bud. But it can also be used to modify other styles, as in helles bock. When I picked up the label and saw "hella" in the description, that's what I immediately thought of. If it's a wink to the beer geeks among us, a nice touch. But, helles bock or no, I'm not a fan. To me, it's a little cloying and heavy. I'd like some more complexity of malt if this were going to be a bock (it tastes likes it has cereal malts--corn or rice) or some hops to offset the malt. It mainly reminds me of malt liquor, a style to which I am perhaps prejudiced. This beer doesn't thrill. Most IPA-lovin' denizens of Beervana are going to be disappointed. Further evidence, perhaps, that the LTD line was not made for them. Not stats available yet; I'll update if they become available.